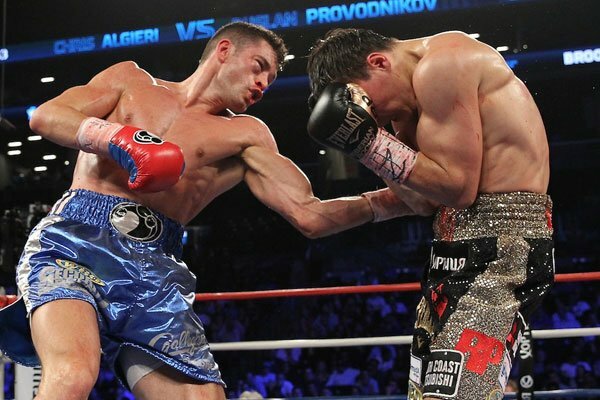 Home > Boxing > What is the real story post Provodnikov v Algieri? With the dust settling it seems that no-one really knows what to make of what happened and what will happen next. Has the stock of Provodnikov dropped dramatically? Is this Algieri guy the real deal? How good is Provodnikov anyway? Why did Algieri get the benefit of the doubt when so few bouts like this go to the challenger? Who do they both fight next? Rematch? Okay….let’s breathe for a second and take this step by step. Let’s take the fight itself first. I scored it 8 rounds to 4 in favour of Algieri; he simply hit Provo more than he got hit in those rounds. What made it more remarkable was of course the first round where Algieri found himself floored twice and his eye closing. For some reason Provo wasn’t able to do what he did to Mike Alvarado which was crowd him into corners and do work in the corners and on the ropes. Algieri needs to be given enormous credit for his conditioning and mental awareness to stay with the fight and ultimately dominate. The next part of the story which I find interesting is that Algieri got the nod. More often than not, the champion or big name tends to get the decision in close fights. We saw this very recently with the Manuel Herrera fight against Danny Garcia. Most people had Herrera winning the fight but were under the assumption that Garcia would get the decision. He did. Where this leaves both fighters is very strange places. 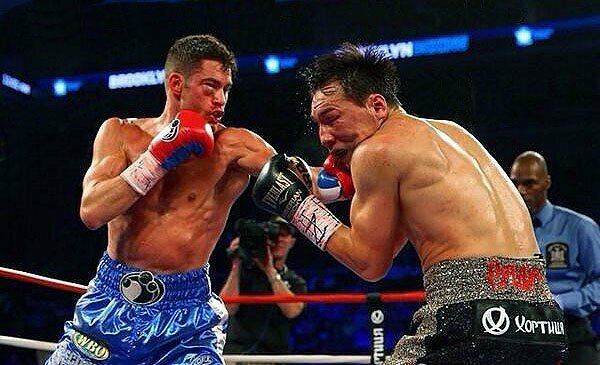 Algieri could land a big fight, especially with a world title under his belt, but who is going to want to face him? It seems even worse from Provodnikov. He has now been beaten by Timothy Bradley, Algieri and the aforementioned Manuel Herrera. He can obviously be beaten at the higher levels of his weight class but he has good victories, most notably against Alvarado so we know he is dangerous. Provodnikov can wave bye-bye to a massive fight but the real winners may be us, the fans. I wouldn’t want to see Provodnikov Pacquiao, quite frankly even if he knocked out Algieri I would have thought Manny would run rings round him like he did to Brandon Rios. Provodnikov should take a fight with a named opponent to keep him relevant in the eyes of the public because frankly, win or lose, we love watching this guy. Maybe a fight with Rios would be the perfect tonic for two fighters a bit down on their luck. As for Algieri, this seems like a breakout moment for him. Bob Arum had previously announced that the winner of the Algieri Provodnikov fight would get Manny in November. Take the fight Chris. You will more than likely lose and there is no shame in that. You get a big payday, you get massive exposure and it would be an incredible learning experience. Not just in terms of fighting someone at the level of Pacquiao but the whole experience of fighting a guy of that stature. Chris Algieri seems like a very level-headed guy and a fighter of enormous talent. Let’s hope he takes advantage of this opportunity he has rightfully earned. And Ruslan, please don’t go away, we love your mad face at the weigh in, we love your massive right hands, we love your mum and we love you.